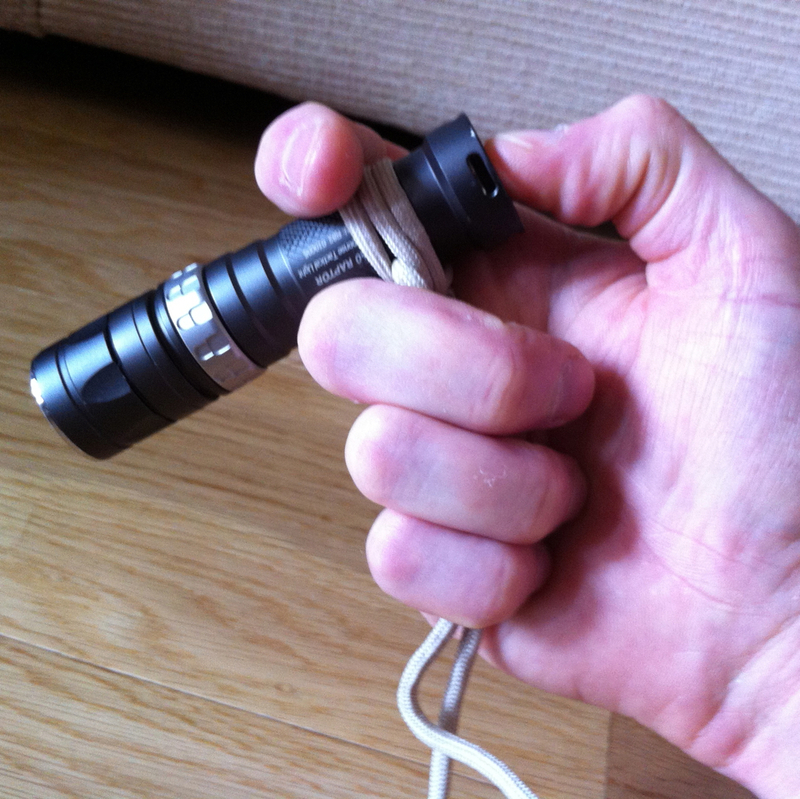 This project was an attempt to emulate the tactical grip-ring and lanyard attachment found on some LED flashlights. 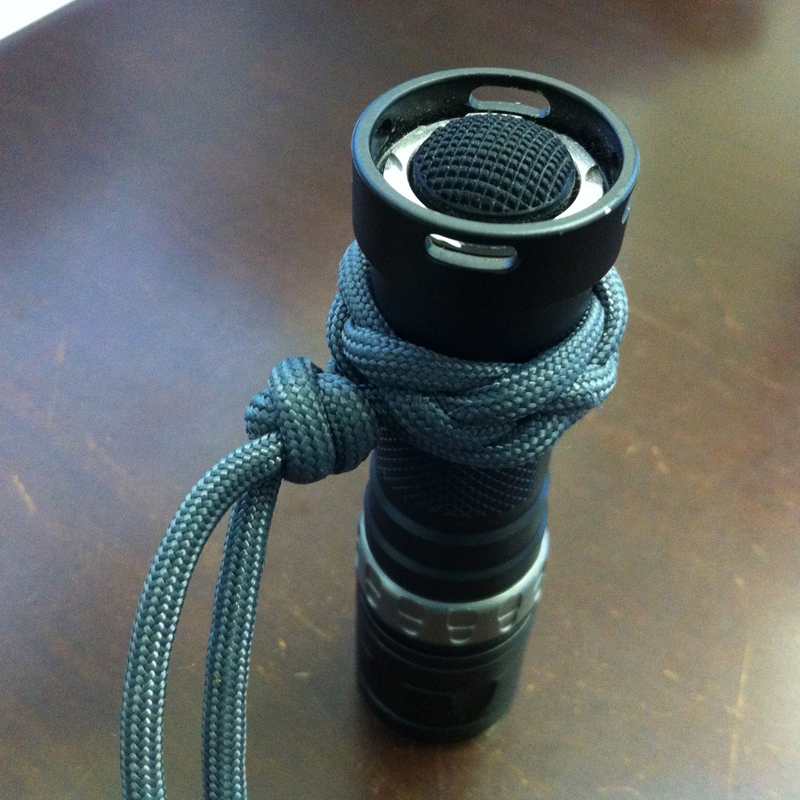 A 2x CR123 size flashlight with factory fitted grip-ring and lanyard (photo from sunwayman.com). 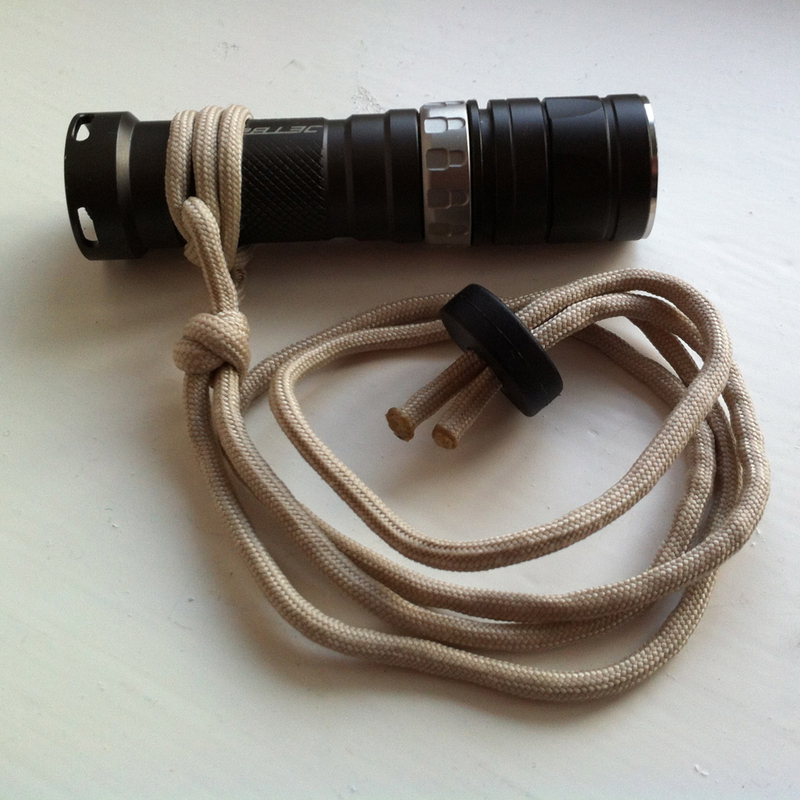 The main issue was finding a binding knot which would hold securely enough on the smooth body of the flashlight, without being excessively bulky. One of my first experiments was a 3×5 Turks Head, which looks nice and neat, and provided a nice grippy ring, but proved impossible to get tight enough to stay in place. 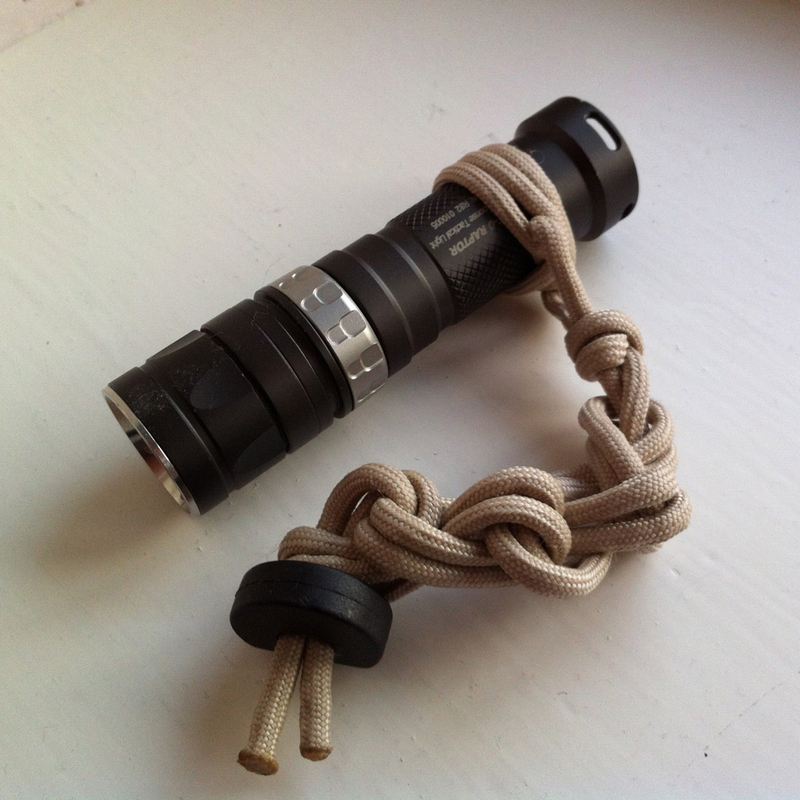 A 3×4 Turks Head with Mathew Walker knot to keep the tails tidy. After a bit more research and experimentation, a Double Constrictor knot appeared to fit my needs very well, gripping very securely and having minimal bulk. Creating a couple of temporary loops in the working ends of the double constrictor made pulling it very tight a little bit easier. Double constrictor with Matthew Walker knot to keep the tails tidy. 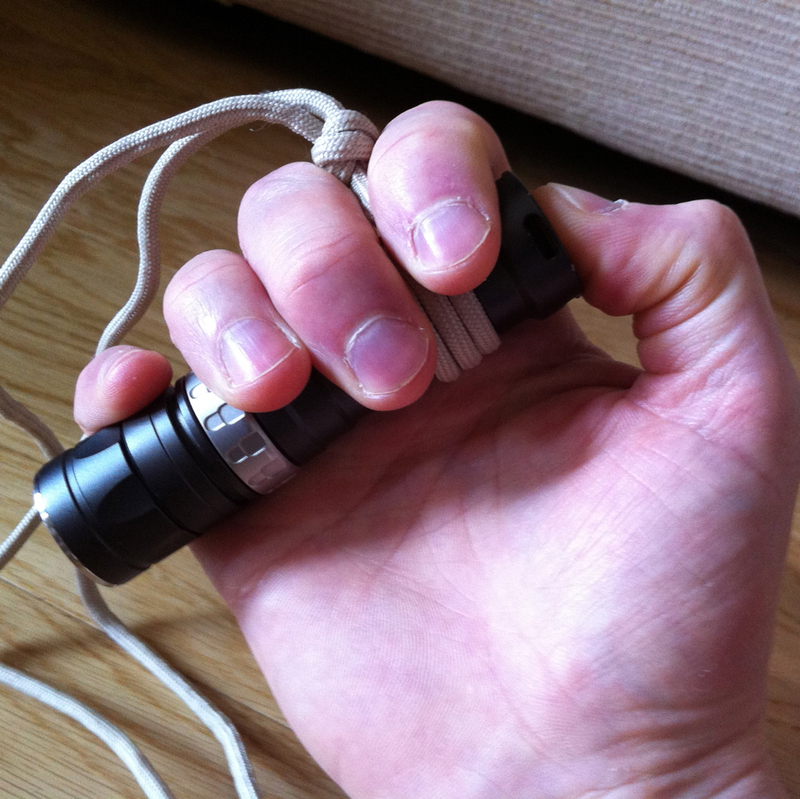 A cordlock provides very easy size adjustment for the lanyard, and acts as a safety ‘breakaway’. When the neck lanyard is not required, it can easily be shortened using a chain sinnet. This then gives a handy fob for added grip, gear management, etc. Lanyard shortened with a chain sinnet. 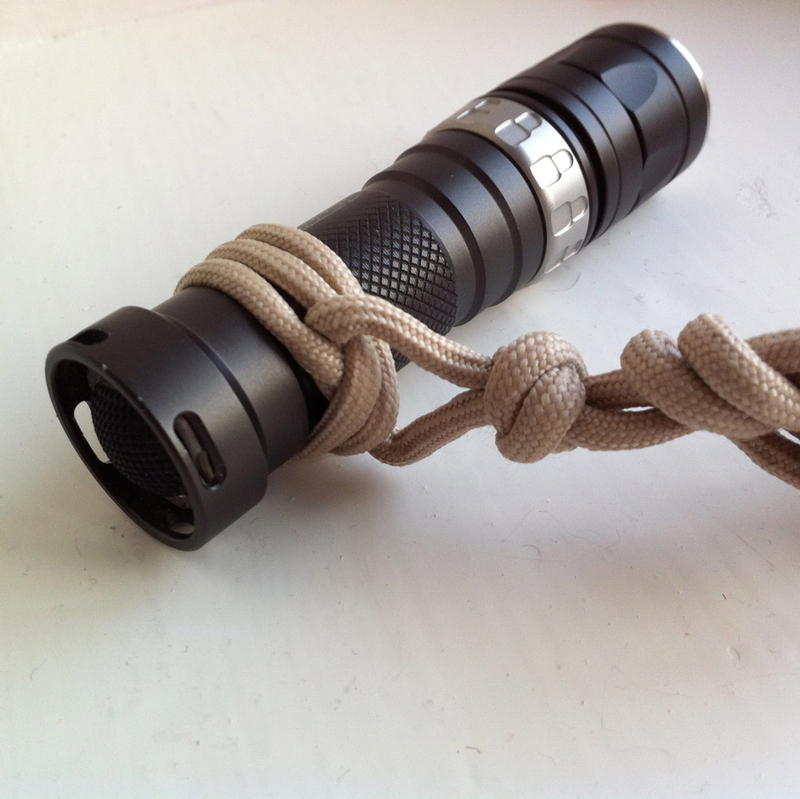 ‘Cigar’ grip using my 550 paracord ring and lanyard. 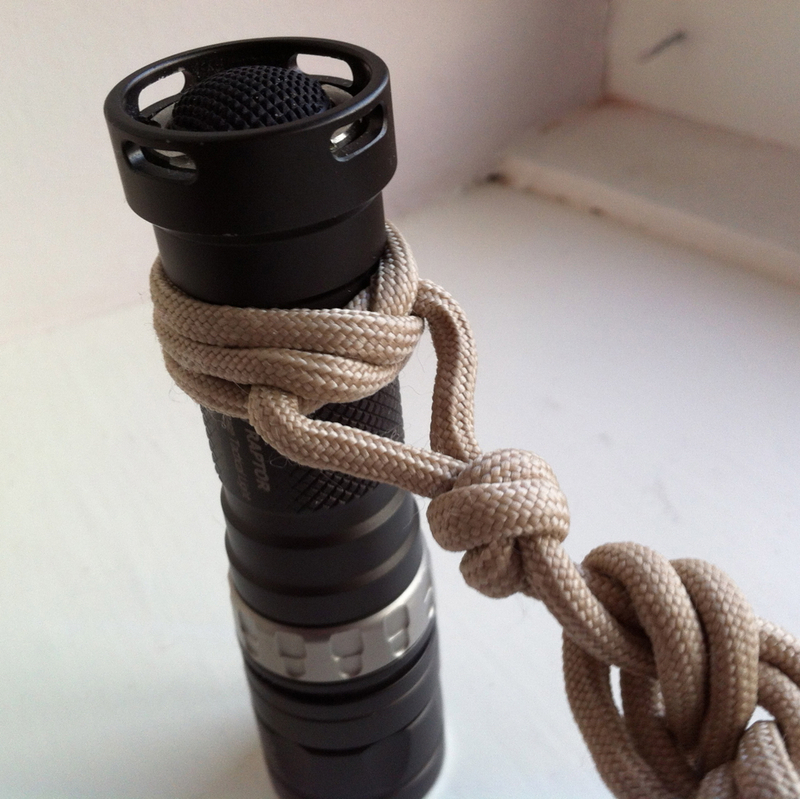 ‘Pen’ grip using my 550 paracord ring and lanyard. The flashlight shown in these photos is a Jetbeam RRT0.